Here's the watercolour tips and techniques book from Rose Edin, who's a watercolour painter and teacher. There are watercolour specific tips as well as those that are not, such as composition, creating balance, working from reference etc. The information presented are concise and easy to absorb. Many of her wonderful drawings serve as examples. This isn't a book for beginners but it serves well as a companion. Reason is her paintings are quite complicated. If you look at the cover, you see this myriad of colours and details going on. Many of the example paintings are like that. You're not supposed to follow along, but there are a few step-by-step tutorials showing how she painted them. Overall a rather insightful instructional book. 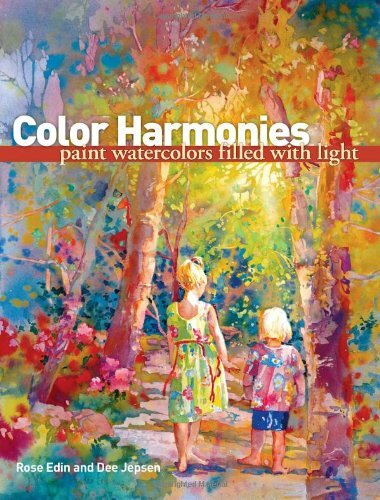 It's a nice book to get if you like her art as many of her paintings are printed huge.